I finally got my table upstairs so I could put my sewing machine on it. 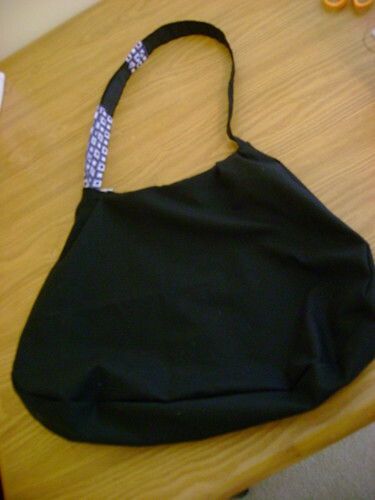 I had a project: my sister’s Christmas present, a purse. 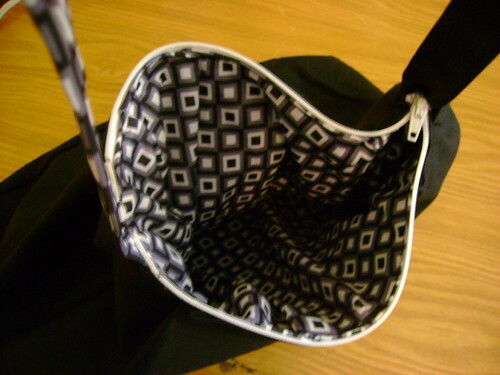 I used another purse as my guide, but after trying to make a pattern freehand, I realized it needed more precision. I got my ruler out and actually did some math. 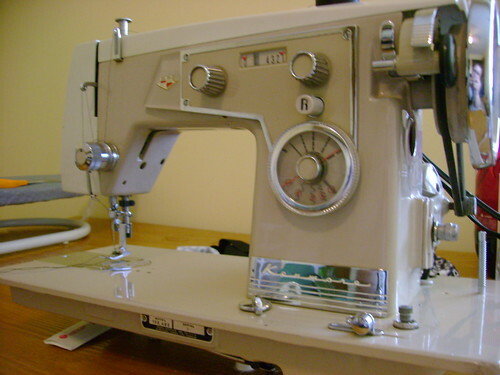 The most difficult part about it was putting the zipper in the top and attaching the handle at the same time. I had to handstitch one side, it was not incredibly fun… nor does it look incredibly professional. But who looks at the seams anyways?